Every choice you make about what to eat directly impacts your health. When deciding what foods to eat, the focus should on eating nutrient-dense foods and limiting the amount of energy-dense foods consumed. Nutrient-dense foods are high in nutrients and generally have fewer calories and will leave feeling fuller for longer periods of time. Energy-dense foods typically have more calories with fewer nutrients that won’t keep you feeling full for very long. When consuming 100 calories worth of food, you may be surprised at what you are getting. M&Ms are a sweet treat that contains high amounts of sugar and carbohydrates that offer no nutritional value. M&Ms are packed with added sugars and artificial colors and flavors. 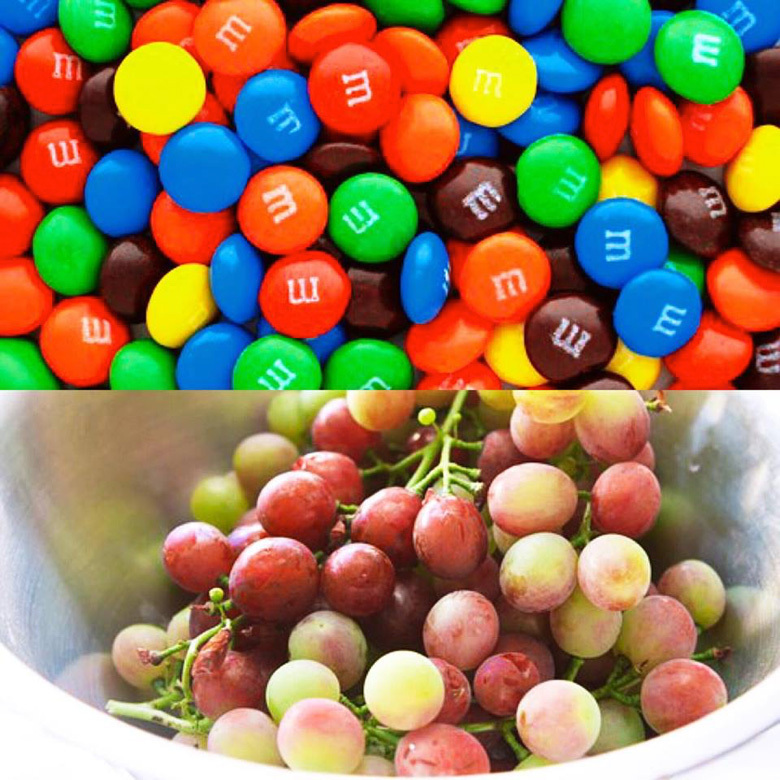 If you’re looking to keep your snack low calorie, keep in mind you’ll reach 100 calories after just 28 M&Ms. When you’re craving something sweet, instead reach for grapes. About 28 grapes (slightly less than a cup) equal 100 calories. Grapes are a nutrient-dense food, and although they are not high in fiber, they are a good source of vitamin C and vitamin A, potassium, iron and folate. They are also high in antioxidants, which are important for eye health. Grapes are also a good source of the flavonoids, myricetin and quercetin, which help the body counter act harmful free radical formation. When looking for a snack with a crunch, potato chips are a popular choice. However, you’ll reach 100 calories after just 9 chips. How often do you stop after just 9 chips? 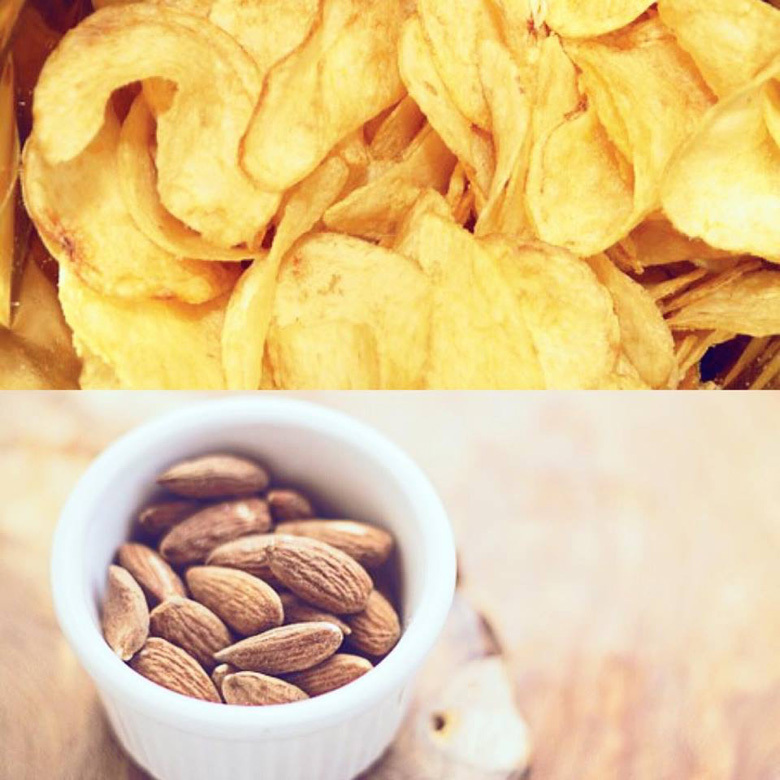 A snack of potato chips often turns into a fairly high calorie snack – one that doesn’t offer much nutritional value. Potato chips contain a small amount of potassium, vitamin C, and iron but are high in fat and sodium. Instead, reach for a handful of almonds. About 14 almonds equal 100 calories. Almonds are packed with vitamins, minerals, protein, and fiber. They are good sources of vitamin E, copper, magnesium, and high quality protein. Almonds also contain high levels of healthy unsaturated fatty acids that are important for good cardiovascular health. A single slice of bread is all you get for 100 calories. Depending on what kind of bread you choose, the nutritional value will vary. A generic slice of white bread doesn’t contain much nutritional value with the exception of small amounts of potassium, calcium, and iron. To increase the nutritional value, choose healthy whole grain breads instead of white bread. 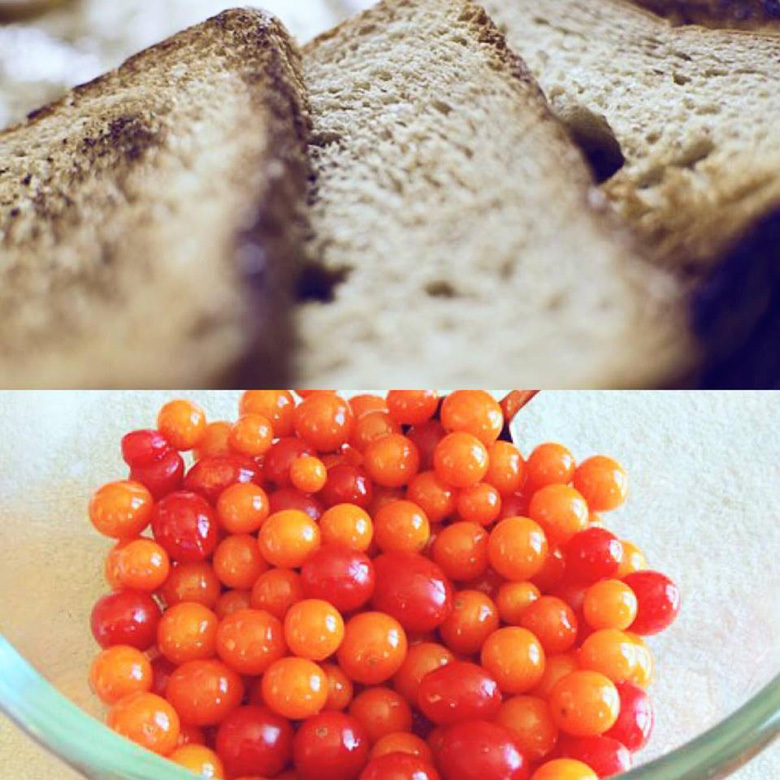 Instead, reach for a couple handfuls of cherry tomatoes. Roughly 33 cherry tomatoes equal 100 calories, giving you a much larger snack. Tomatoes are rich in many vitamins, minerals, and antioxidants. They contain vitamin A, vitamin C, and folic acid and contain many antioxidants, such as alpha-lipox acid, lycopene, choline, beta-carotene, and lutein. If you’re looking for a low calorie breakfast, avoid the bagels. Just one-half of a bagel equals 100 calories. Bagels are high in carbohydrates and their nutritional value varies. White bagels contain little fiber (less than one gram) and about 9 percent of your daily value of iron. However, a whole wheat bagel contains 4 grams of fiber and about 15 percent of the daily value of iron. Enriched and fortified bagels contain vitamins, B-1, B-2, B-3, and folic acid. What you put on your bagels also impacts nutritional value. Adding cream cheese adds extra calories and saturated fats. 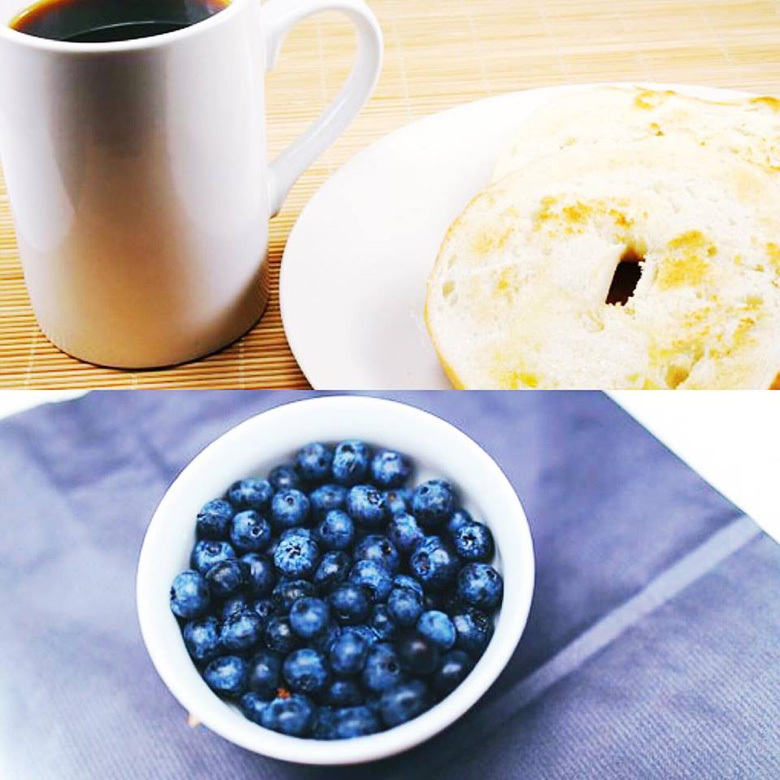 A much healthier breakfast option is blueberries. About 1 cup of blueberries contains just 100 calories. Blueberries are high in antioxidants and flavonoid antioxidants. These phytochemical compounds help to rid the body of harmful oxygen-derived free radicals and help to protect against cancers, aging, infections, and degenerative diseases. Blueberries also contain small amounts of vitamins A, C, and E and larger amounts of minerals such as potassium, manganese, copper, iron, and zinc. French fries are one of the least healthy foods out there. 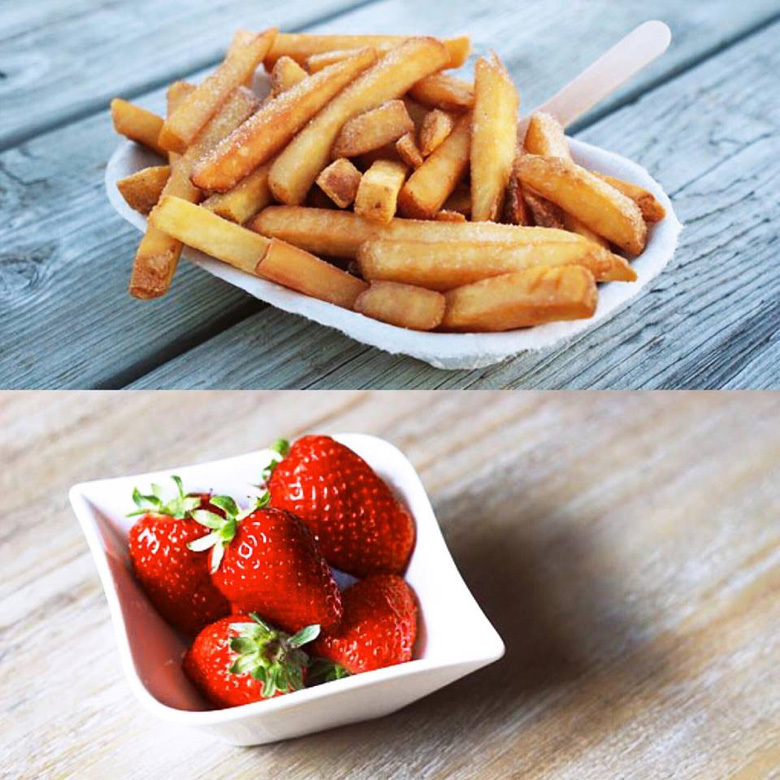 Due to their high calorie content, you’ll consume 100 calories after just 15 fries. They contain almost no vitamins or nutrients and contain large amounts of carbohydrates, fat, and sodium. Strawberries are rich in essential nutrients and about 1 cup of strawberries contains 100 calories. Strawberries contain large amounts of vitamin C, potassium, folic acid, calcium, and fiber. They also contain antioxidants, such as anthorcyanins, ellagic acid, quercetin, and karmpferol, which have protective effects against certain types of cancer. Making healthy eating decisions isn’t always easy. 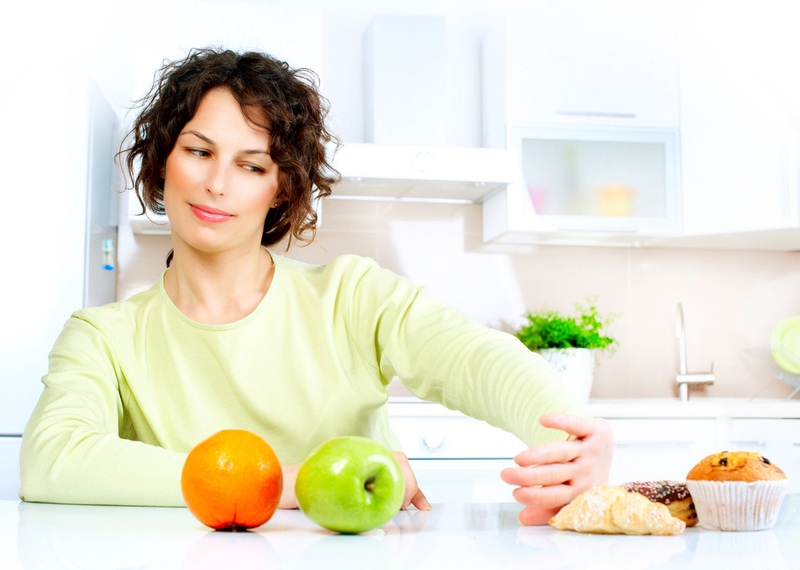 But being armed with the knowledge about what makes a food healthy or unhealthy can make that decision easier. Create a healthier you by taking the time to educate yourself about the foods you are eating so don’t have to make difficult decisions regarding your health care for chronic diseases later in life.